PUNE : The Central Bureau of Investigation (CBI) has arrested a person for opening fire on Dr Dabholkar. The assassin whose name is Sachin Andhure has been arrested from Aurangabad where he stayed with his family in Rauza Baug area of the city. He was arrested on the night of Aug 14. 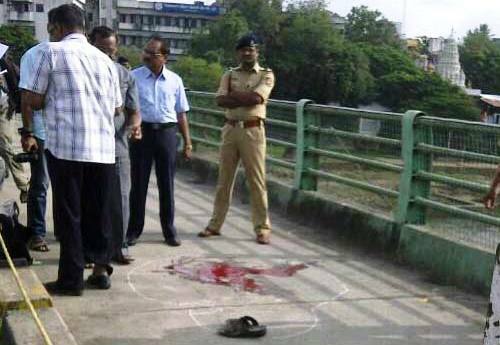 The CBI is trying to find out at whose instruction did Andhure carried out the killing. Anther’s arrest has come five years after rationalist Dr Dabholkar was killed in cold blood near Omkareshwar Temple in Pune on Aug 20 in 2013. The Mumbai high court has directed the state to hand over the investigation to CBI on March 9 in 2014. The CBI made the first arrest in the case on June 10, 2016 when Hindu Jagriti Samiti worker Dr Virendra Tawade was arrested. Hindu right wing terrorist Sarang Akolkar is also an accused in the case and is currently absconding.CBI investigation has found email communication between Tawade and Akolkar. Born in the year 1981, Sarang Akolkar is from Pune, Maharshtra and his father Dilip Akolkar worked in a private firm and now living a retired life. Sarang Akolkar did his schooling from NMW School and obtained a bachelor’s degree in Electrical Engineering from Bharati Vidyapeeth. Akolkar had always been under complete influence of Sanatan Sanstha as his mother and sister were the members of the extremely radical Hindu outfit. He used to attend “Sabha” at Sanatan Sanstha and gradually became a full time Sadhak. Akolkar was radicalised and was taught to take revenge for the Hindus, police investigation has unearthed so far. जानिए! 1920 में आसफ़ अली बैरिस्टर ने गो-रक्षा के संबंध में मुसलमानों से क्या अपील की थी?